The failure of your product launch is not an option. It’s one of the things that can easily put you out of business. As a result, new product market research is one of the most important prelaunch activities that a business owner can engage in. It’s also one of the areas that can often be neglected. Most business owners think they know their clients and the products that they want to buy. But speculation and cold hard facts are two different things. Let’s look at what exactly is involved in conducting this research. Defining Your Target – The first step should always be to identify what customers you want to target. It only makes sense to start with your best ones. 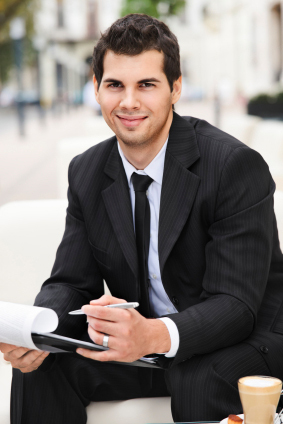 Rank your clientele by sales and then start with the top 60 percent or so. Then add in other customers who might be more reliable or who have purchased from you for a long time. Another option is to study specific customers. Talk to early adopters. They’re the ones who are always on the cutting edge when it comes to new products or ideas and can be a valuable resource. 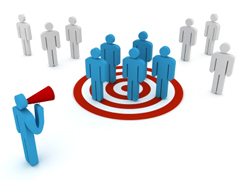 Target Demographics – This step goes hand in hand with defining your target. Your product launch market research should be based on a specific set of demographics. Of course these could be based on gender, age, education, household income, marital status – any number of things. While this information can be difficult to get, something as simple as a zip code can give you a good idea about someone’s income or even education. By mining this data, you begin to create a demographic profile from those who may have already purchased your products in the past and would be apt to purchase new ones in the future. The best method to use really depends on who it is that you’re trying to reach. For instance, if you’re targeting lawyers, doctors or other senior level staff, try using a personalized letter. This audience can be notoriously difficult to reach and any extra effort will go a long way with them. Save phone interviews or face to face meetings for more complex, interactive and in-depth product launch market research. In most cases, online surveys will yield the most information. Companies such as SurveyMonkey, Zoomerang, SurveyGizmo and PollDaddy all offer affordable yet very robust options. Any time you engage your target in any way, you’ll want to be mindful of their time. Keep the number of questions short – limit it to 10. Not only do you improve the response rate of your market research, but you also ensure that you’re only taking 5 to 10 minutes of their day. Remember to be personal with your audience. After all, these are some of your best customers. The information that they are providing to you will provide critical insight into the minds of the very ones you hope will purchase your new product. Offer them a reward or incentive of some kind for answering your questions and taking up their time. Developing Your Questions – It’s critical to carefully develop the questions you’ll ask your audience during your product launch market research. Avoid leading questions; you want your target to be as truthful as possible about how they really feel. Also, state things as simply as you can. Don’t abbreviate and don’t use industry terms. You want everyone to be able to understand everything completely. Ask them questions about your product in open-ended ways. This will allow people to tell you how they really feel. Have respondents use descriptive terms like excellent, fair, or poor when they’re rating your item. Also, you’ll want to make sure that you ask them for suggestions. A crucial component of your new product market research is determining what your audience feels could make the product better in some way. This may lead to improvements in your product that you might not have thought of. Prior to engaging your targets for the first time, you’ll want to make sure that you test your questions out on colleagues, friends or family members first. This will help you to make sure that your questions are easy to understand and that the overall timing of the process doesn’t go on too long. Consider A Focus Group – While the idea of using a focus group might sound like an expensive prospect, if you think a little outside of the box you can still achieve great results. A focus group can be a very useful tool because they provide you with a first hand view of how people react to your product. Invite a group of your friends or family over for dinner and while they’re there have them give you feedback on your new item. Make sure that whoever you’ve contacted is fairly indicative of your target audience, you’ll want your results to mirror the people who are actually buying your product as closely as possible. Examining The Results – Once you’ve either distributed your surveys or conducted interviews, it’s time to examine the results of your new product market research. Hopefully, you’ve received data from enough people that you will begin to notice patterns. If none are emerging, you could try to resurvey with different questions or consider widening out your target audience. As soon as you have collected all of your final data, zero in on one or two recurring themes that your audience is saying about your new product. If these themes are good, make sure that you play them up in your advertising or marketing materials. On the other hand, if your market research has uncovered a serious flaw in your product that may prevent or delay its launch, at least be thankful that it didn’t make it out into the market. 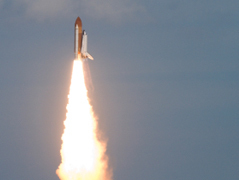 No one wants to face the prospect, or the expense, of a scrapped or pushed backed launch. The more you know about what the people in your target market are looking for, the better. Without clearly defined market research of your product, you run the risk of spending time and money on a launch that won’t provide the buying public with exactly what they’re looking for.